The 2019 Introductions are posted. 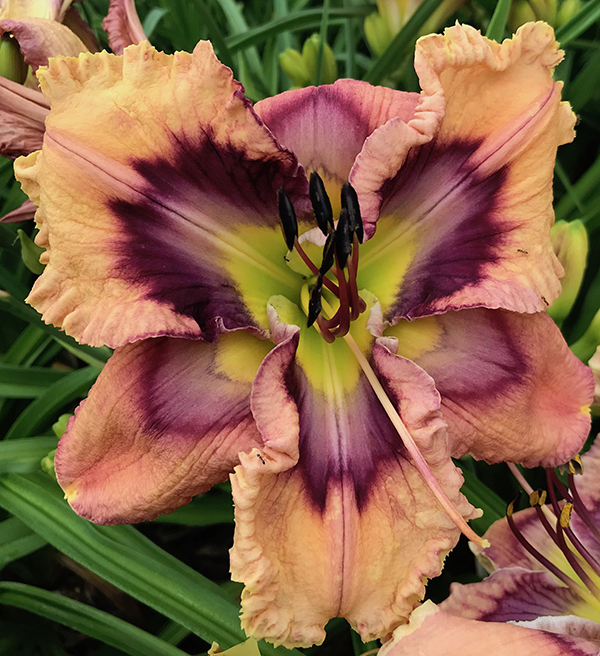 The daylilies are updated with deletes and new prices through Ryan’s Fireworks Fantasy. After that, the prices could be different and some may be deleted. I will try again on Tuesday (Jan 22) Please be patient! This takes awhile! over 900 of the newest and best daylilies on the market! freshly dug, true to name, and state inspected plants. We always send double divisions (or more if possible). If not 100% satisfied, please contact us. It’s always good to call before a visit to make sure someone is available to dig. Our peak bloom is mid-May to mid-June. Many of our internet buyers are not sure what “Bonus” plant means. For every order $50.00 and over (excluding tax and shipping fees), we send a 20% FREE plant (as a “Thank You” for ordering with us). We call this FREE plant the “Bonus”. Example: For a $100.00 worth of daylilies, you will receive a $20.00 plant free. For a $300 order (excluding tax and shipping), we send a $60 FREE plant. (If there isn’t a $60 plant, we would go up to the next price range ($70-$75). We would like several possibilities to choose from in case we are very low on one. We understand that 20% of a $50 daylily order (excluding tax and shipping) equals $10.00. No, we do not have a $10 plant in our catalog. List $15- $20 plants for bonus for $50-$100. If one is not given, we choose one for you (so you will still receive a free plant).We do not guarantee you will receive the plants of your choice. BUT, we will accommodate you as well as we possibly can!